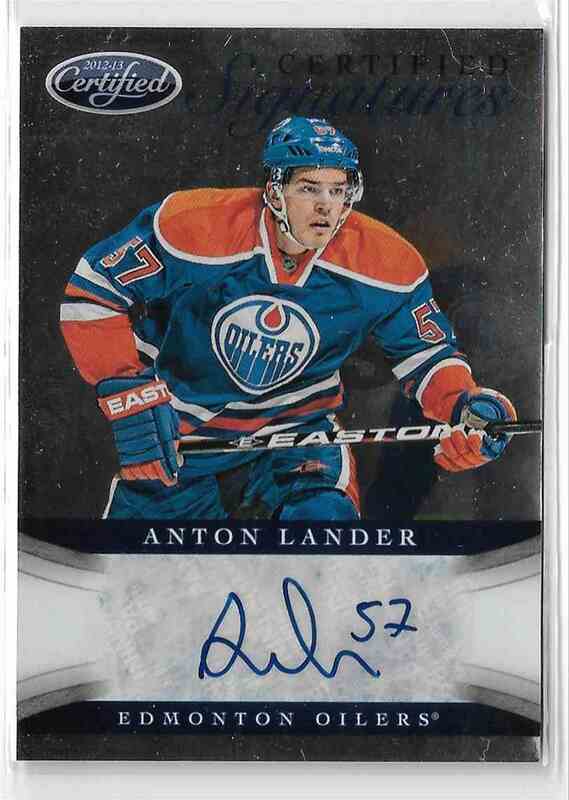 This is a autographed Hockey trading card of Anton Lander, Edmonton Oilers. 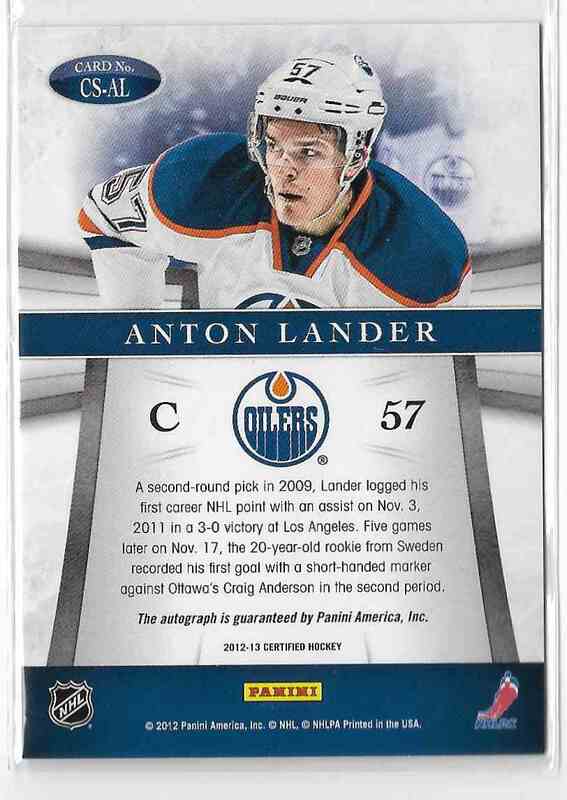 It comes from the 2012-13 Panini Certified set, card number CS-AL. It is for sale at a price of $ 6.20.